Blondie and Brownie: Very Important Pizza, in My Hood? Last week, Grub Street let the world know that VI Pizza in Bayside was being mentioned by readers as some of the best pizza in the city. 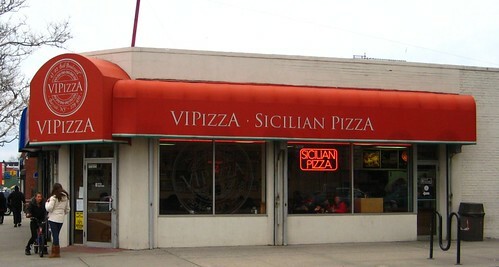 Of course, I've never been to VI Pizza; it's for Baysiders, and I have always giggled at the name. So, is it Very Important Pizza? Yes and no. LiLo and I went over the weekend and I quickly found out my immaturity has led to me missing out on some good pizza. 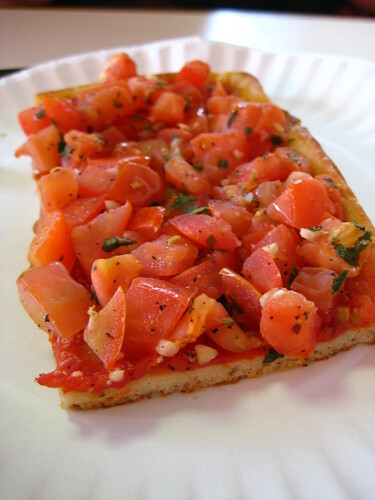 The marinara slice features fresh and soft mozzarella, not rubbery like most in the area. The sauce also isn't too sweet and tasted like tomatoes. The regular slice, on the other hand, was good, but nothing worth noting. LiLo got a grandma slice, which she thoroughly enjoyed. The crust was crunchy, and the tomatoes were good, but probably better when in season (which seems like forever away right now!) The staff was friendly and nice, which always helps. Yet, is this all good enough to be considered some of the best? I'm hesitant to say so. It's good, but DiFara's this is not. It's a great neighborhood spot, but I wouldn't travel across boroughs for it. VIPizza is not "the best." 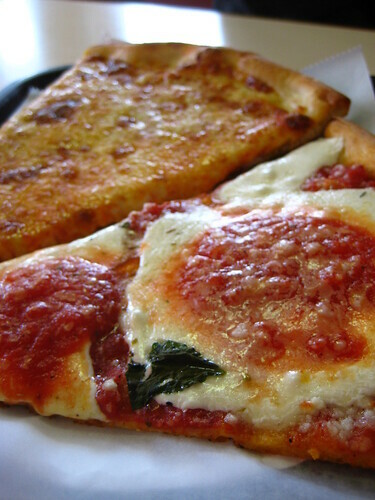 Their Sicilian slices are their best slice and it's decent but definitely not amazing. The list or burgers and pizza on that Grub Street post were a little suspect, I wonder how they compiled them. I don't know of any pizza that's really worth the trip in Bayside. In regard to burgers though, I hear the Donovan's burger is back to snuff after falling off a bit in the renovation.